In the /etc/mysql/mysql.conf.d/mysqld.cnf file you will find all the parameters used by MySQL, for example port, cache limits, logs paths, SSL, etc. So, there you go! Continue customizing your MySQL instance. How to get MySQL time zone? As you can see we are getting a SYSTEM value which means that our MySQL instance is using the timezone set in the configuration file: my.cnf. Would you like to know how to locate your my.cnf file? Then visit: How to find my.cnf MySQL configuration file in Linux? Hibernate is one of the most incredible Object Relational Mapper (ORM engine) that we have to make scalable and secure Java Enterprise Applications. Today, I going to explain you, how to configure your session factory field by field in order to have a basic connection to a datasource (in this case using IBM DB2 as database engine). 1) You have to create your datasource and that will depend on which application server you are using, in my case I have configured an IBM DB2 datasource into IBM WebSphere Application Server 8. 2) Create a file called hibernate.cfg.xml in YOUR_WEBAPP/WebContent/WEB-INF/ directory. 3) Copy following example and customize accordingly. dialect A hibernate dialect is a “the variant of a SQL language”. Hibernate can work with many databases engines like: DB2, PostgreSQL, MySQL, Oracle, etc. However, databases have propietary extensions and SQL variations, and of course set or sub-sets of SQL standard implementations, for that reason Hibernate uses “dialect” configuration to know which database you are using and switch to the specific SQL syntax. cache.provider_class Cache will allow us to store data in memory to the database, using this we will achieve a reduction in traffic between it and our system and also reduce access time to data.The second level cache is associated with the Session Factory object. This allows that an object -which is cached- can be obtained anywhere in the application by any user at any time as often as necessary and without accessing the database.To operate this level, we must do some settings in Hibernate and also choose a cache implementer. show_sql Enables the build-in a function of Hibernate to display all the generated SQL statements to the console. 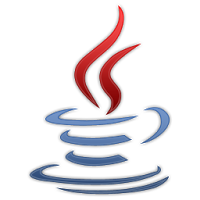 javax.persistence.validation.mode Hibernate Validator includes an event listener (part of Hibernate Annotations in the org.hibernate.cfg.beanvalidation.BeanValidationEventListener class). It listens for events like: PreInsertEvent, PreUpdateEvent and PreDeleteEvent, verify all the constraints applied to the entities, and throws an exception when a constraint is violated.